"Like James Joyce’s Ulysses, The Information, a history, a theory, a flood, by James Gleick is a book about nothing less than everything. 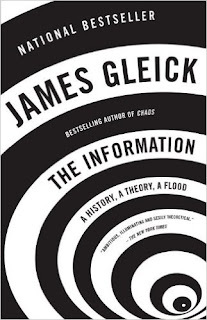 That is what comes of tackling the very notion of information, including the ambiguities inherent in the word." Read Stuart Hopen's complete book review on his blog!